Sofía Córdova: Born in 1985 in Carolina, Puerto Rico and currently based in Oakland, Sofía Córdovacreates new media interventions that explore sci-fi, futurity, extinction and mutation, especially as they relate to human acceleration of climate change under the conditions of late capitalism and its technologies.She received her BFA from St. John’s University in conjunction with the International Center for Photography in 2006. She received her MFA from the California College of the Arts in 2010. She has exhibited and performed at SFMOMA, the Berkeley Art Museum, and Southern Exposure as well as other venues internationally. 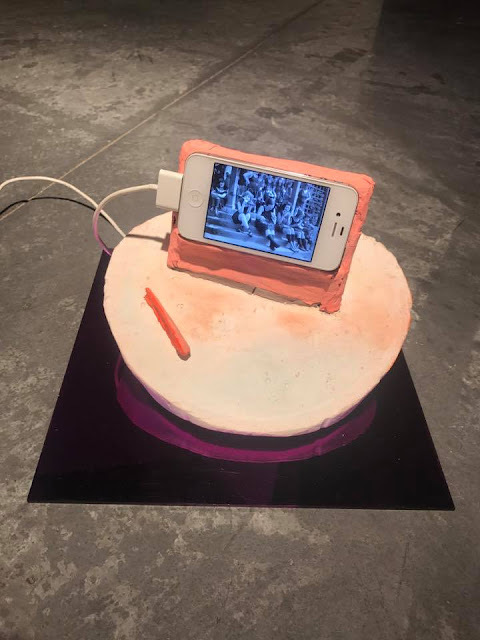 She has participated in residencies at the BAVC in San Francisco, Arteles in Finland, Mills College Museum in Oakland, the ASU Museum’s International Artist residency in Phoenix which concluded with her solo exhibition, Where Thieves Go After Death. Most recently, she developed a new suite of performances, videos and sound compositions in Spain in an artist residency supported by Spanish embassy in Washington DC and the city of Málaga, Spain. Her work is part of Pier 24’s and The Whitney Museum’s permanent collections and was recently the subject of a First Look feature in Art in America. 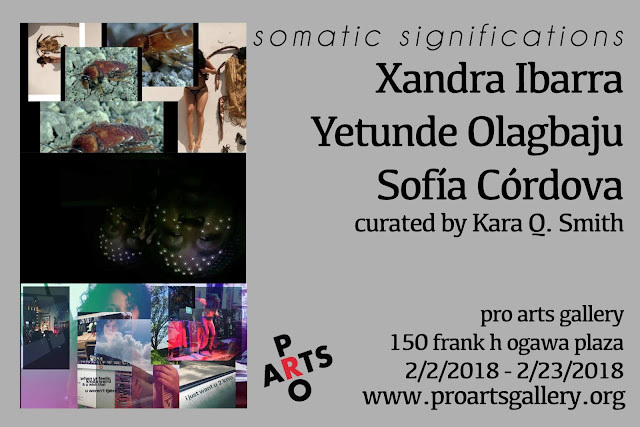 The exhibition “somatic significations” it will be on view until Friday, February 23, 2018. Pro Arts Gallery, Project Space and Studio Lab Residency facilities are located at 150 Frank H. Ogawa Plaza in downtown Oakland, CA. Gallery Hours: Wednesday – Saturday: 1:00 p.m. – 7:00 p.m. Exhibitions are FREE and Open to the Public.